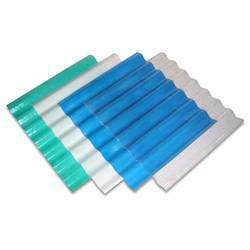 We are engaged in manufacturing, supplying and trading a wide range of FRP Sheets. 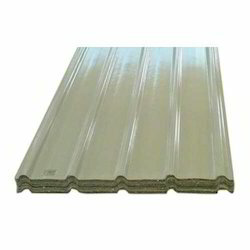 Our offered range of FRP Roofing Sheets is designed and developed using quality-assured FRP that is sourced from the authentic vendors of the industry. Available with us in different thicknesses, colors and various other specifications, these sheets are demanded across the market. 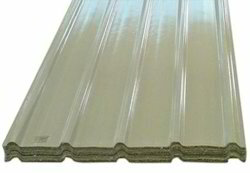 We manufacture, trade and supply a wide range of optimum quality Fibre Roofing Sheets. These roofing sheets are delivered within the assured time frame at the customers’ end owing to our excellent transportation facility. Offered roofing sheets are highly appreciated by our customers for their robust design, excellent tensile strength, and longer functional life. Backed by rich industry experience and expertise, we are involved in manufacturing, supplying and trading a wide range of Profile Fiber Sheets. By making use of optimum-grade high tensile steel that is sourced from authentic vendors, we manufacture these sheets to leave no scope for defects. To suit the demands of customers, we offer these sheets in different thicknesses and other specifications. "Fiber Reinforced Plastic" generally known as FRP is most commonly accepted in the Indian Industrial Sector due to its durability and sustainability in worst conditions may it be chemicals, fertilizers, industrial oils, humid or acidic environments etc. 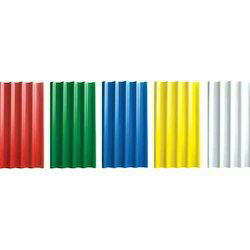 Available in both plain and profile forms in all thicknesses on order. With the help of our team, we are committed to dispatching these products to the clients' end in committed time-period. Looking for Fiber Sheets ?